I have had a migraine off and on (more on than off) since the time change a week ago! Have you ever just wanted to sit on the floor and have a good old fashioned 2 year old temper tantrum? Well I do…right now! But since that would only make my pain worse it isn’t a good idea. I am tired of hurting and I am tired of being sick. Heck, I am just tired of being tired!!! Am I feeling sorry for myself? Probably! Am I having a pity party? Well, since I can’t have a tantrum can’t I at least have a party? Am I feeling like I have no control at this moment? Absolutely! Am I depressed? No…not at all. I am just frustrated. If anyone out there feels this way today, I hope you feel better soon. I hope you are blessed with a good day very soon. Hope…well, at least there is always that! 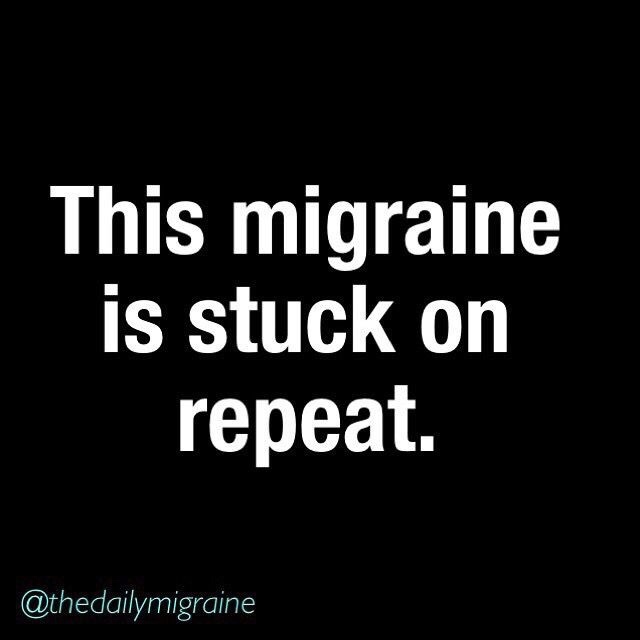 Migraines are hell. Does anything help with yours? I take a bunch of meds for prevention and then I have meds for rescue. I have a rare form of Migraine called Hemiplegic Migraine that also gives me stroke like symptoms as part of the aura. So the headache portion isn’t going away and then ever so often the aura comes. I know I am Migrainous Status at this point. I’m sorry you are going through that. There are few things more difficult to deal with than ongoing unrelenting pain.